Realmente no pensé caminar tanto ! Pero valió la pena, valió cada minuto, cada paso. 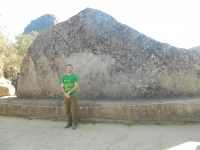 El primer día pensé que seria fácil, luego el segundo día pensé en abandonar, pero hoy no me arrepiento el haber hecho el Inca Trail y el ver Machu Picchu. I had an incredible tour with this company. Everything was taken care of with impeccable detail. 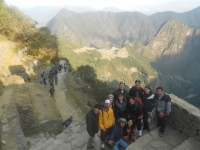 Our tour guides, Raul and Ruben were incredibly knowledgeable and considerate. Our tents and luggage were all set up upon arrival to our campsite after a long hike. Wow! Where do I start? First off this trip was highly recommended from a friend who did this last year. 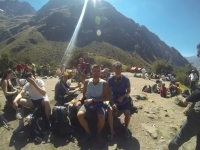 Setting aside the fact that the trek itself is full of the most beautiful sights I've ever seen, Raul and Ruben were beyond knowledgeable about the trail and history of the Incas which made the trip 100 times more enjoyable. This trek was awesome! It is safe to say it was one of the most incredible experiences of my life. 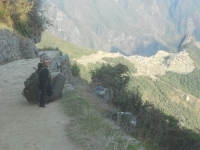 The views were stunning, the food delicious, the guides and porters absolutely wonderful and that was all before we even made it to Machu Picchu. My only regret is that it is already over. 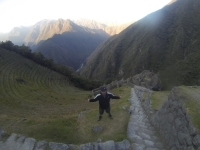 My experience on the Inca Trail was amazing and much more than I could have asked for. 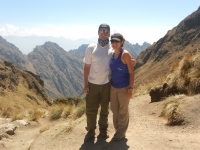 My experience on the Inca Trail was outstanding. 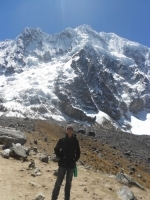 I was amazed at the service offered by the guides and porters. Our guide was friendly, professional, and encouraging. I couldn't have asked for a better experience. Uma aventura fantastica com paisagens maravilhosas e com certeza uma experiencia inesquecivel algo que levarei para vida toda, superação, motivação, calma e fé com certeza foram os principais motivos para concluir meu objetivó nessa aventura. Parabens a toda equipe (guias, carregadores e cozinheiros). Foram 4 dias de muita aventura, vistas, paisagens que realmente valeram a pena. Tudo isso aliado a competencia e profissionalismo da equipe, guias atenciosos e sempre dispostos a ajudar no que for preciso. Os acampamentos, a comida e os porteadores tambem merecem os parabens. I had a fantastic experience - some truly great memories. 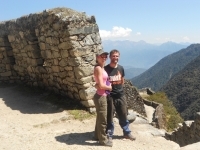 The online booking process was very straightforward and the Inca Trail Reservations employees were always quick to respond to any queries or emails which I sent them. 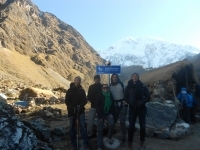 To begin, the porters, guides and hikers were all amazing. A big thank you to each and every one of them. 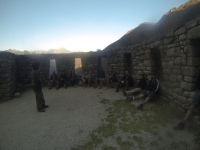 Day one of the trek was reasonably simple, however day two was a killer. 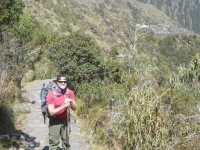 Seeing the porters fly past you and having the guides there to cheer and lead you on was absolutely amazing. 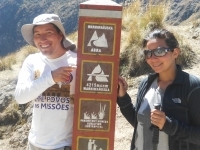 Trekking to MP (Machu Picchu) along the Inca Trail was a tough journey which presented many challenges: sleep, physical, emotional & a need to examine ones sense of self. My guide was a chico more than a guide - well versed, patient & warm at the same time very professional & astute with his trekkers. This was the most spectacular adventure of my life. From the moment we left Cusco I knew I was in for quite a ride. With the help of my fantastic friend Americo, who also happened to be my guide, I was brought to the most beautiful parts of the world.